i’ve been stocking up on fall goodies (a new vince sweater, two pairs of loafers, a bag for work) in hopes that the weather will turn cooler. no such luck; the past week or so has been hot as can be. today was particularly muggy in new york, and the city did that annoying thing where every other street smells like a particularly pungent mixture of urine and garbage. oh new york, how i despise your summer stench. but soon it will be fall, and all will be right in the world. 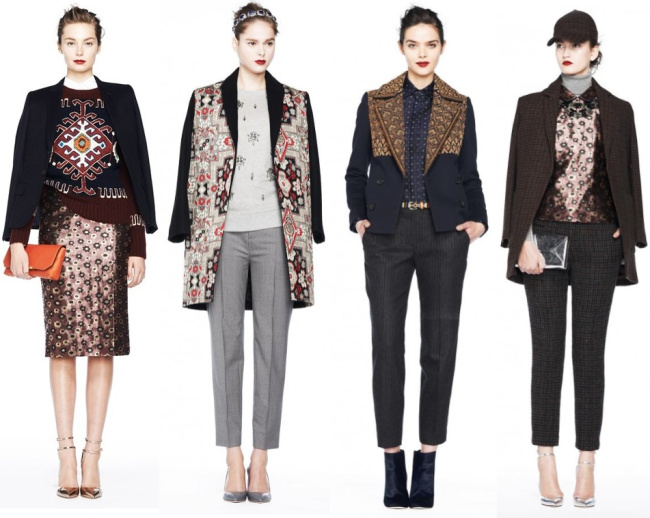 and when autumn rolls around, i’m going to need some serious sartorial inspiration. cue the looks below. 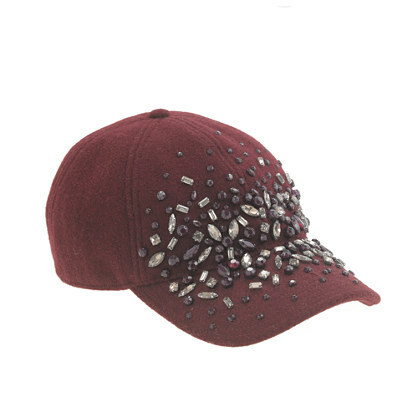 this bejeweled wool baseball cap is a ridiculous $125 at j.crew – but how cute? i’m picturing it with an army jacket and leopard kicks. perfect for bumming around on one of those gorgeous fall saturdays spent walking around in the west village with a steaming cup of hot cider. 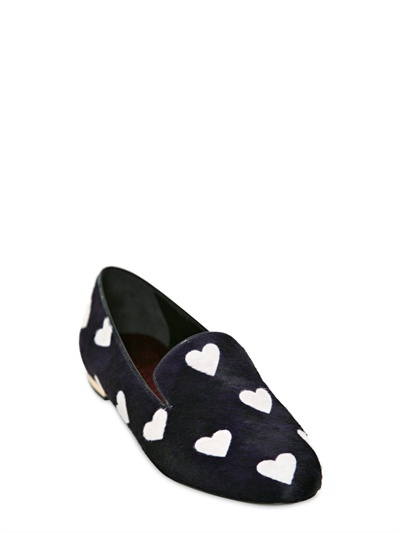 meet the burberry prosum heart-printed ponyskin loafers. whewf, can you say that one ten times fast? i can’t. guess i’d better work on my diction. at a staggering $495, these babies are way out of my price range. but here’s hoping they go on sale, or someone makes a knockoff (sorry, burberry, but women say crazy things when they’re in love). guys, fall is just around the corner. i can feel it in the air. lately, when i walk to bar method in the early mornings, there’s that snappy, crisp, slight bit of chill surrounding me, calling me, telling me my favorite season is on the way. i couldn’t be more excited. this time of year, and the weeks forthcoming, always remind me of one of my favorite f. scott fitzgerald quotes. in other news, the cooler air means shopping for cooler clothes – and i mean cooler both literally and figuratively. i love a good sundress as much as the next girl, but i’m much happier when i can layer. already, i’ve purchased two pencil skirts at j.crew, an oversized black vince v-neck sweater (on sale for just $99 at marshalls, hot diggity damn! ), and a few more pairs of fall flats than i’d care to admit (gilt groupe, i love you). but that doesn’t mean i can’t keep cruising the internet for fall picks. below, a few pieces on my wishlist for fall. i think if i had to choose one to save up for, it might be that lauren merkin clutch. what a beautiful bag. though also, the alexander wang sale is next week…i really should save my pennies for that! i spent last weekend and the earlier part of this week in wakefield, RI on a beach trip with my family. we stayed in a quaint bed and breakfast that, while cute and romantic, wasn’t exactly my cup of tea. note to self: if you don’t like period pieces on TV, you probably don’t like them in hotels either. antiques are great, but not when they smell like your grandmother’s closet. next time, stay in somewhere with slightly more modern amenities.anywho – one slightly cloudy afternoon, after giving up on the beach and realizing the sun wasn’t going to make an appearance, we hopped in the car and headed over to watch hill. our goal? to see taylor swift’s newly purchased summer house, of course (i’m a diehard fan; my family just humors me). 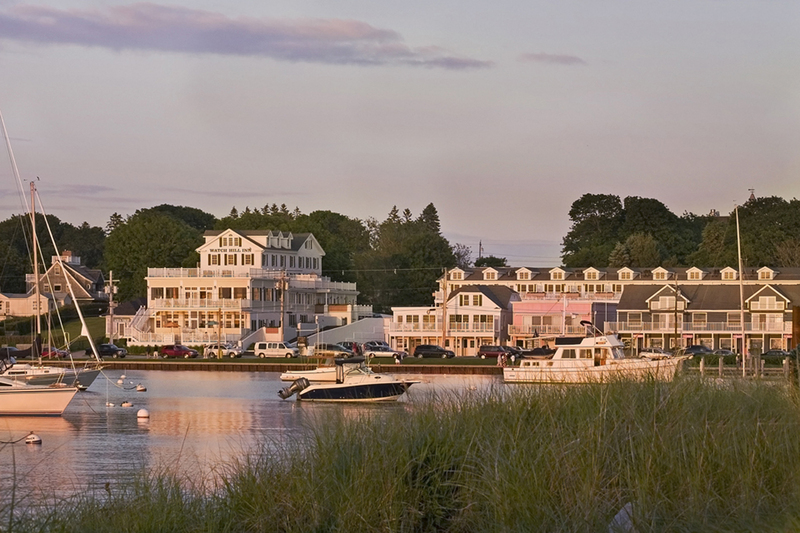 watch hill is about as quintessential new england as you can get, from the shingle-style mansions to the cute ice cream shop and preppy boutiques. quaint doesn’t even begin to cover it. 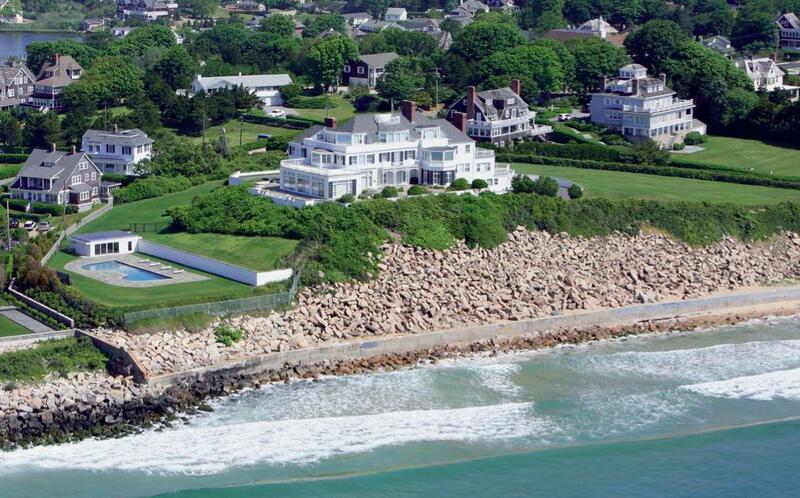 as it happens, you can walk down a street that runs directly down to the beach behind taylor swift’s gorgeous colonial, which affords a rather amazing view not just of the megastar’s home, but also of all the homes surrounding it. in between turning around to glimpse into taylor’s windows, i ate up the architecture in the surrounding houses, which were the sort of homes reserved for the ludicrously wealthy and impeccably dressed. 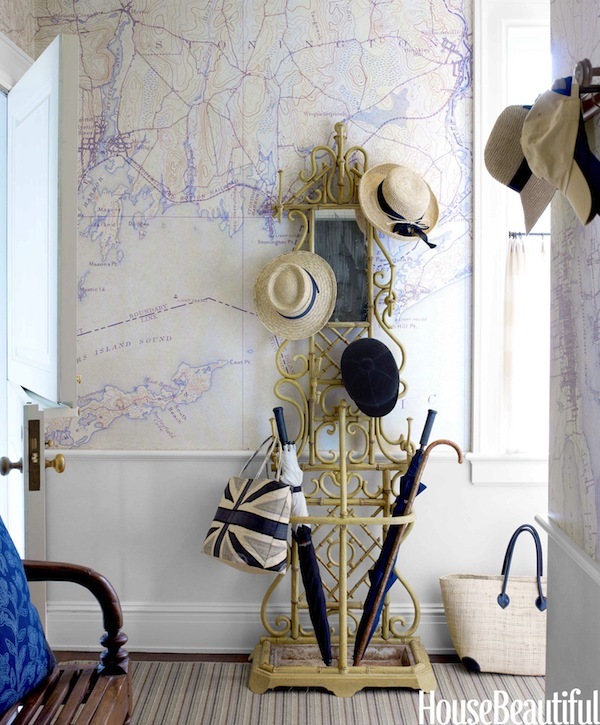 while i couldn’t see inside any of the mansions we walked past, i’m pretty sure that if i could, they would have looked a lot like tom scheerer’s beach house, as seen here, in elements of style (and soon to be on newsstands in house beautiful‘s september issue). i mean, i want to live here. don’t you? 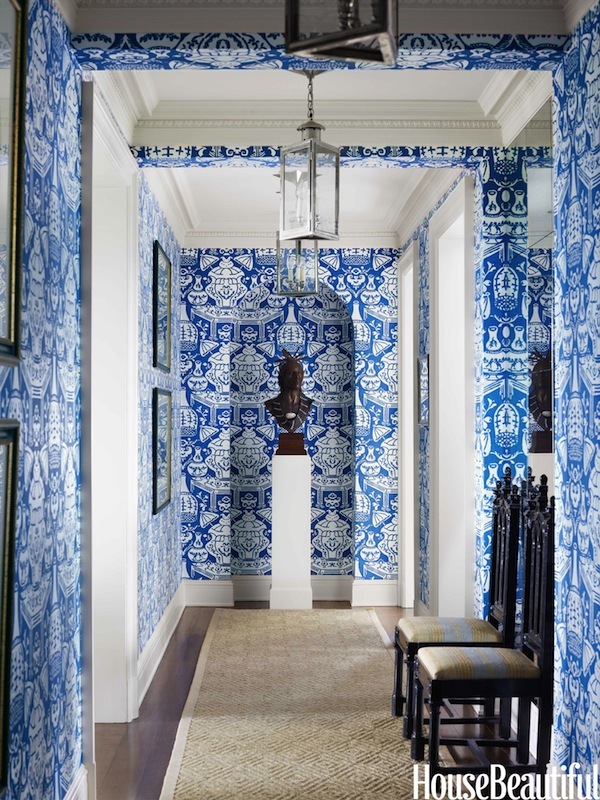 the wallpaper gives me heart palpitations. the shingle-style exterior makes my cheeks flush. 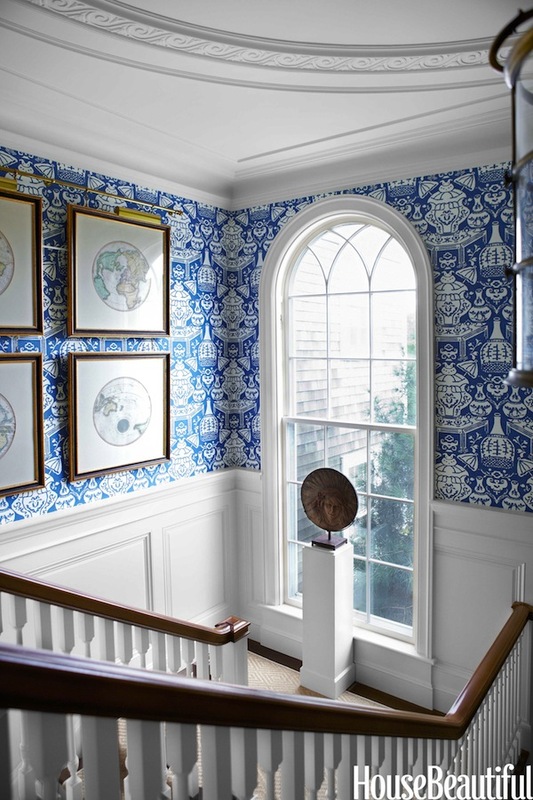 the crisp sea tones (god bless you, blue and white) carried throughout the home make the space feel open, airy, and inviting. 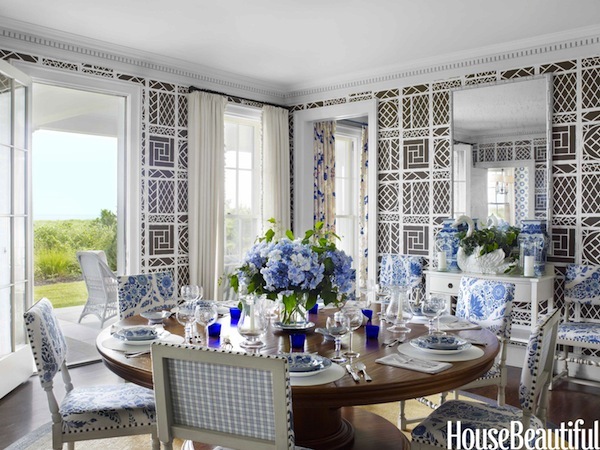 bold yet traditional, this space is beach house perfection. 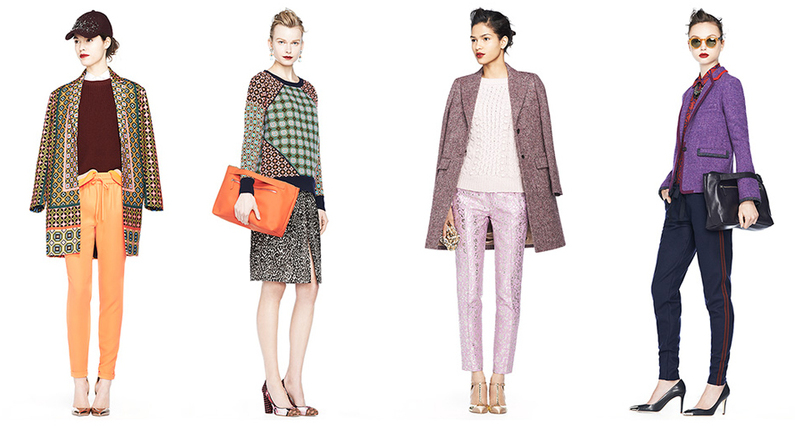 okay, i’ll admit it: j.crew is KILLING IT for fall. 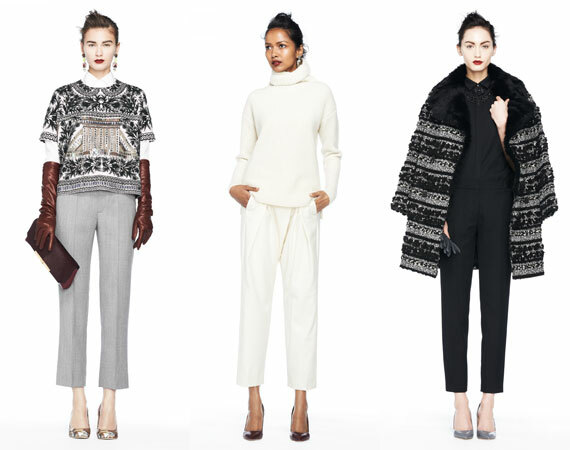 there’s some serious sartorial inspiration in their fall ’13 lookbook, captured below. i’m especially loving the look above – tall brown leather boots, a funky patterned dress that feels almost m.c. escher-like, and a chunky striped scarf wrapped all the way around. paired with a bright lip, you’ve got the perfect early fall look. add some black wool tights, and you’ve got a look that takes you into late november. i’m seriously feeling spots for fall. especially loving the loeffler randall dalmatian print sneakers. and given that with my recent foot injury, i’m supposed to wear sneakers 24/7, they might just be worth the investment.